The middle of May saw the young birds show some real changes in their appearance. Feathers could now be seen on both young, and they were now turning from a darker gray to a dark brown color, almost appearing black in the shade or on overcast days. One interesting observation in the 3rd week of May was that there was a difference in plumage between the 2 young. One young had a slightly grayer look than the other, presumably older, darker sibling. 4 days later, the color change was no longer apparent. 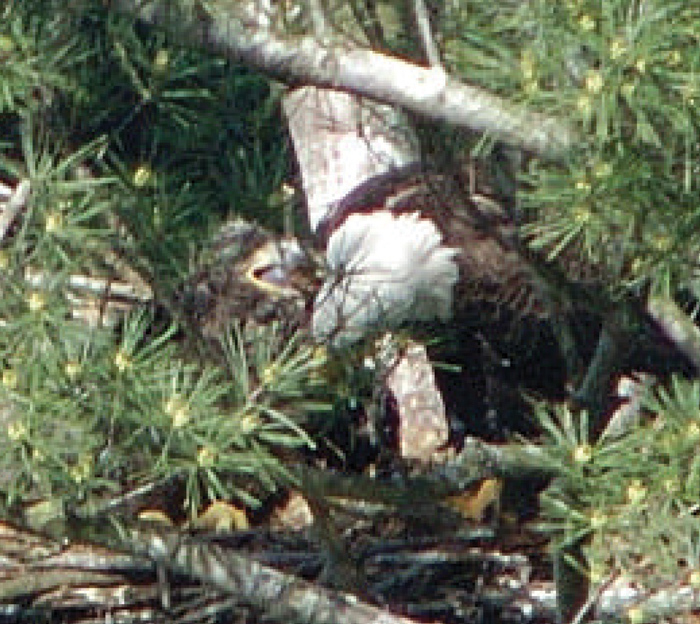 Young being fed by a parent, May 20, 2004. Young looking at the camera, May 31, 2004. Can you see what is happening to the White Pine tree where the nest is located during this time period? 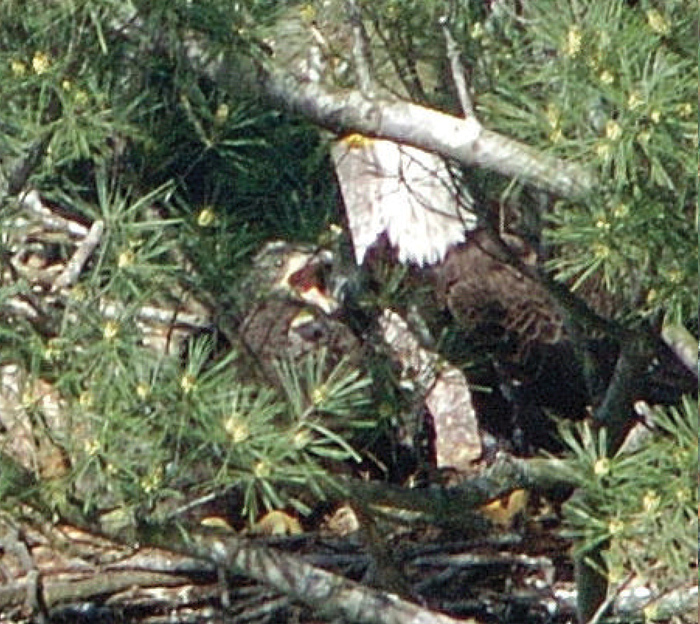 A hungry Eaglet, May 20, 2004. 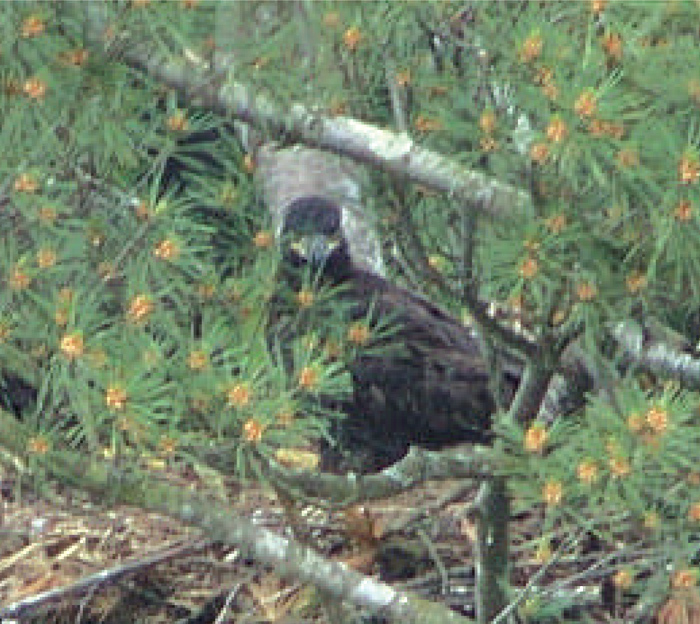 One young with beak visible, June 4, 2004. 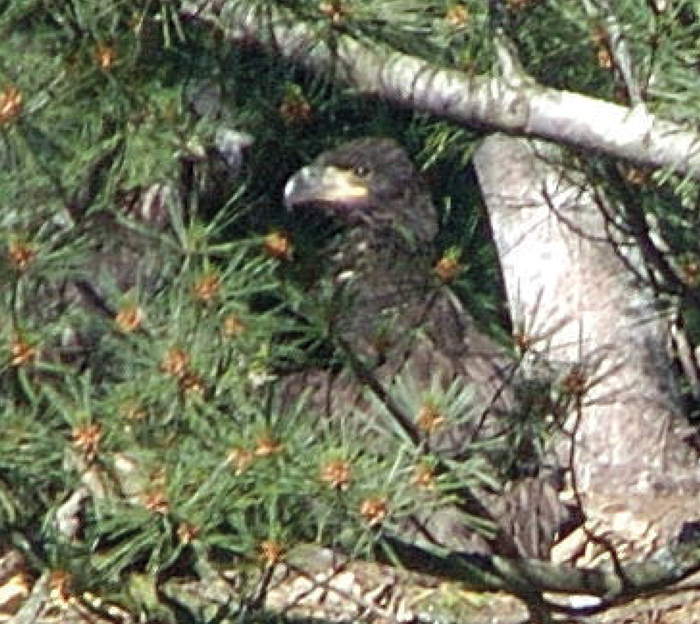 These photos show an Eaglet in the nest in the sun. It wouldn’t be easy to spot this bird if it weren’t for the pale yellow and shiny reflection of the beak. Why do you think the young of many species of birds are brown or dark colored? Where do eagles nest? 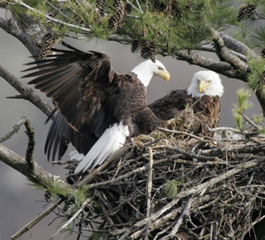 Nesting activity begins as early as February, when eagles search for territory and begin construction or renovation of existing nests. The female can lay one to three eggs; incubation lasts for 35 days.